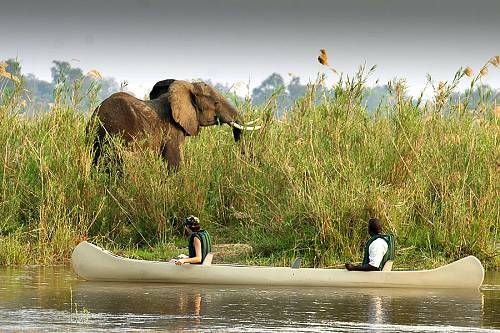 On the water’s edge of the lower Zambezi River sits the tranquil and exquisite Anabezi Camp. This exclusive tented camp is more than an escape from reality, but a window into Africa—the animals, birds, and plant life. Built on the foundations of the renowned site of Ana Tree Lodge, Anabezi Camp is made up of 12 spacious, secluded tents, raised on timber platforms to give you a magnificent view of the Lower Zambezi National Park.